Mancaves are rooms or garages that have been remodeled to be a space just for men, especially dads. Most men would love to have a mancave if space allowed it, and the contents of a man cave are dependent on the area it is located, what men want to have, and budget. Whether you are turning a garage, bedroom, basement, or den into your getaway, here are some tips for contracting or building a perfect man cave. Before you start planning your perfect man cave, it is essential to measure the space you will have and consider what items are must-haves in your area. A lot of mancaves have a game table for pool, table hockey, or other games. Many men want to have lounge furniture, a hi-def television, and a good sound system. Measuring your man cave, and knowing what items you want to fill your space, is an excellent place to start. The best way to get everything you want out of your man cave is to make a detailed step-by-step list of what you want and need to complete your project and to be realistic about what can work in your space. Once you have your list completed, talking it over with your contractor will help make sure you have a good design, and that you can have everything you want. If possible, hiring a contractor is an excellent idea because they can answer your questions and ensure the work is completed to the highest standards. If you are going to need HVAC, plumbing, or electrical work, a licensed contractor can help make sure all work is done safely and efficiently. If you are creating your man cave on a budget, it is essential to be as thorough as possible. The more you are able to plan for costs, the easier it will be to get your project completed. The general rule of thumb for budgeting for home renovations is to leave about 10 to 15 percent of your budget free to cover any surprise or miscellaneous expenses. Whether you are renovating a room by yourself, with a team of friends, or with a licensed contractor, it is essential to have a set schedule with deadlines for completing each stage of the renovation. If you hire a contractor, they will be able to share their expertise on timelines. Depending on your personal preferences, proper lighting and sound quality is important. Determine what you will do in your man cave and then plan your lighting to reflect your activity. If you are going to watch movies and play table games, having dimmer lighting and a few LED lights may give you what you need. If you want to work on hobbies, brighter lights are necessary. If you want a great sound system that can blast music and movies, and your man cave is attached to your house or in a neighborhood, installing good insulation and soundproof features is a good idea. 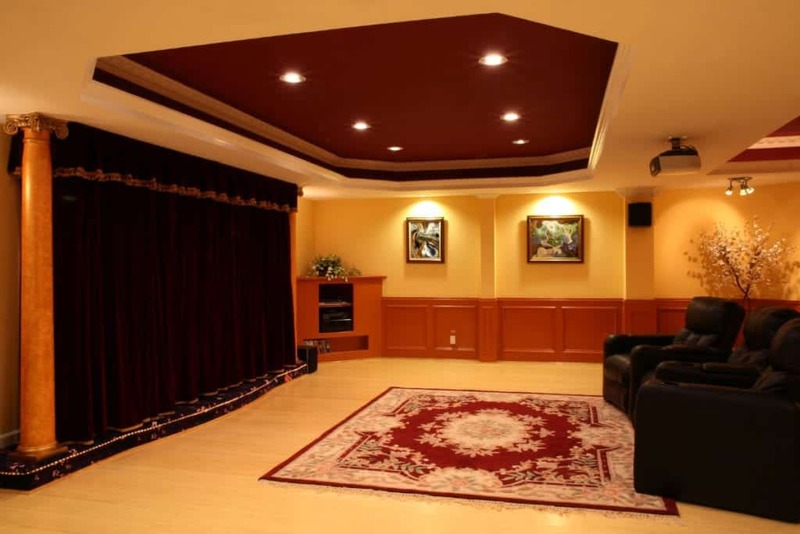 There are many ways to create a space that can produce great sound inside your room while canceling or seriously quieting the noise from outside your room. Mancaves are a great space to allow men to decompress, hang out with friends, work on hobbies, or just spend time alone after a busy day. There are many resources and design ideas available to help with designing the perfect man cave. If crafting your new man cave requires construction or renovation, hiring a licensed contractor or business can help you get the most out of your space, while also ensuring all codes and safety measures are met. Whether you are building yourself or hiring a contractor, planning and preparing are the best ways to help you get everything out of your man cave design ideas.